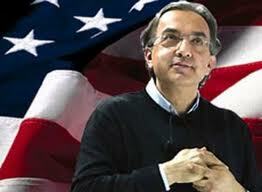 Sergio Marchionne has managed to set a new record in his activity as the CEO of FIAT: that is, to layoff the whole workforce of the Mirafiori plant in Turin. The layoff has been set for 6 days (June 14, 15, 21; July 12, 13, 19; 2 more days of closure will be achieved through forced leave of the employees) and will involve all 5,400 workers currently employed in the administrative offices of the Fiat plant in Mirafiori. Although FIAT is no new to such measures, this particular layoff is unprecedented for its size and duration. The administration offices at Mirafiori have never entirely been closed for so many days: their activity, in fact, is not confined to the management of the Mirafiori plant but plays a strategic role in the management of FIAT as a whole. The redundancy has therefore sparked alarm and unrest among the workforce, suggesting that FIAT is disengaging from its declared commitment to maintain the central role of the Italian lines. Edi Lazzi of FIOM (the main union representing mechanical workers) has read the news as a warning sign, revealing huge problems at the management level: he has also asked for the support of local institutions.